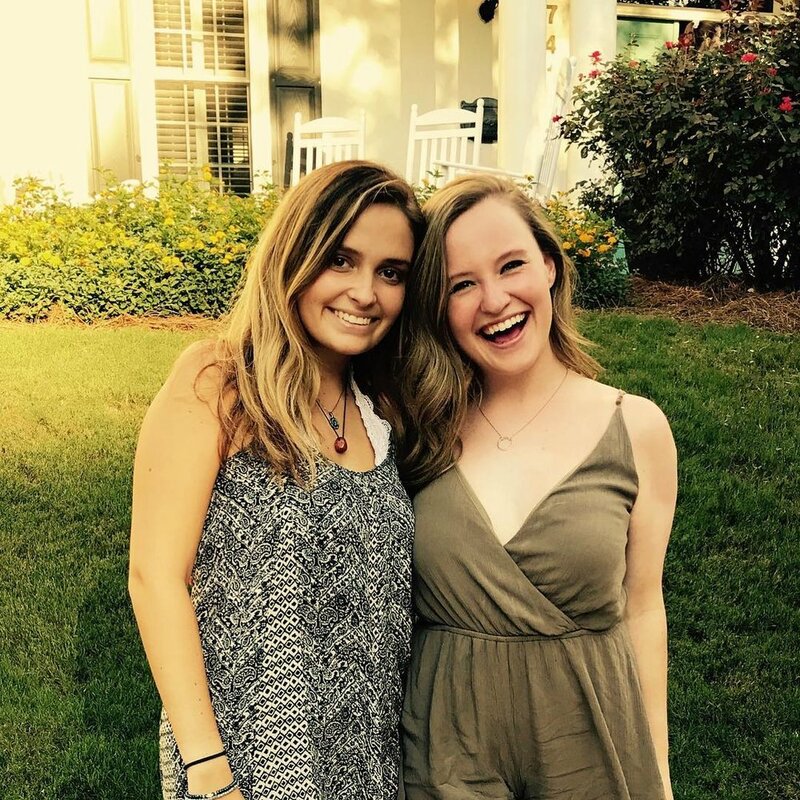 At Alpha Chi Omega, we emphasize self-growth, scholarship, and helping others. One of the most valuable ways of doing this, however, is by creating and strengthening our community of like-minded real strong women. 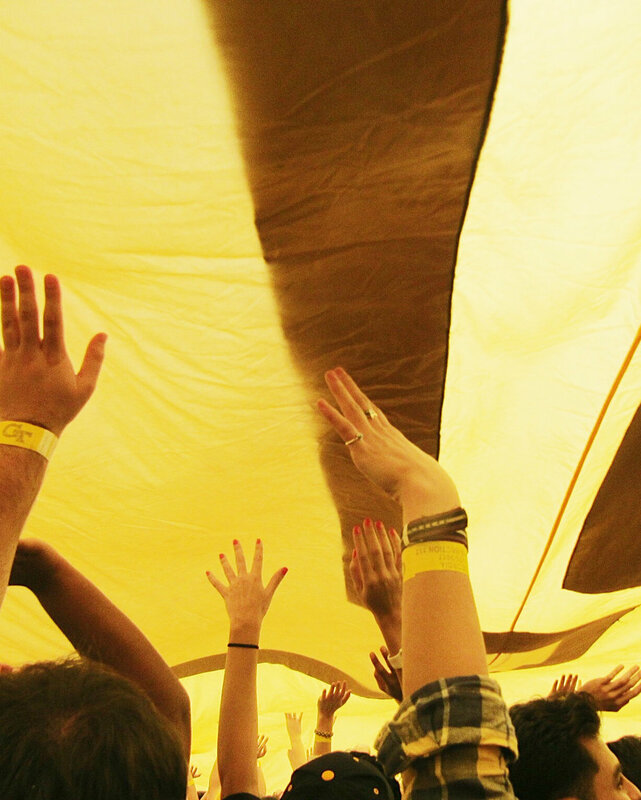 We lift each other up in all that we do, provide a place where we can come to relax and grow. To best do this, we seek to strengthen the relationships between our sisters and emphasize the qualities that bond us together. 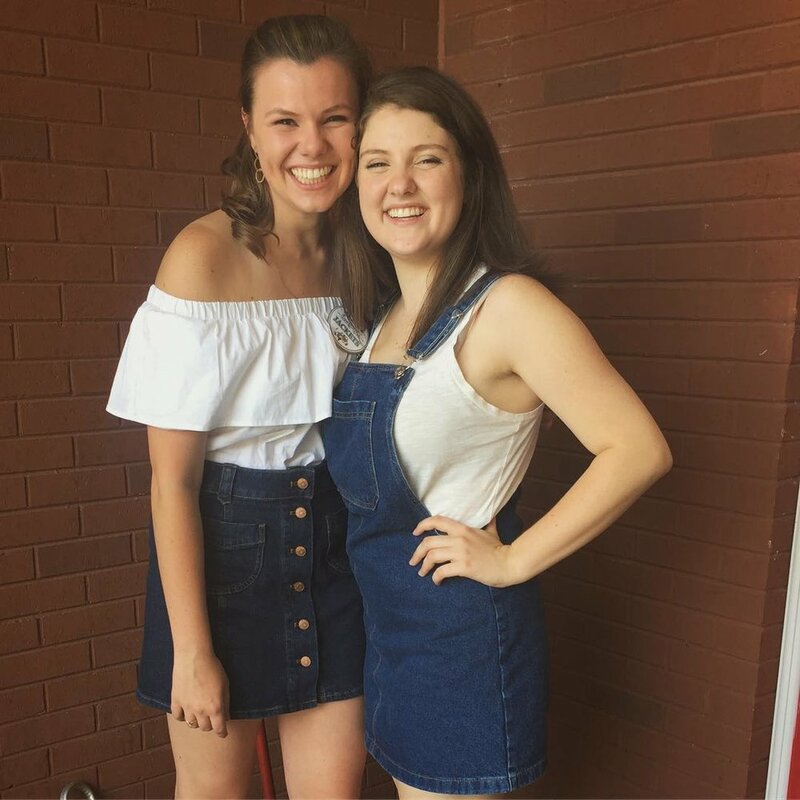 Alpha Chi provides countless opportunities for socializing and bonding with our sisters each semester, and these are some of our favorites! 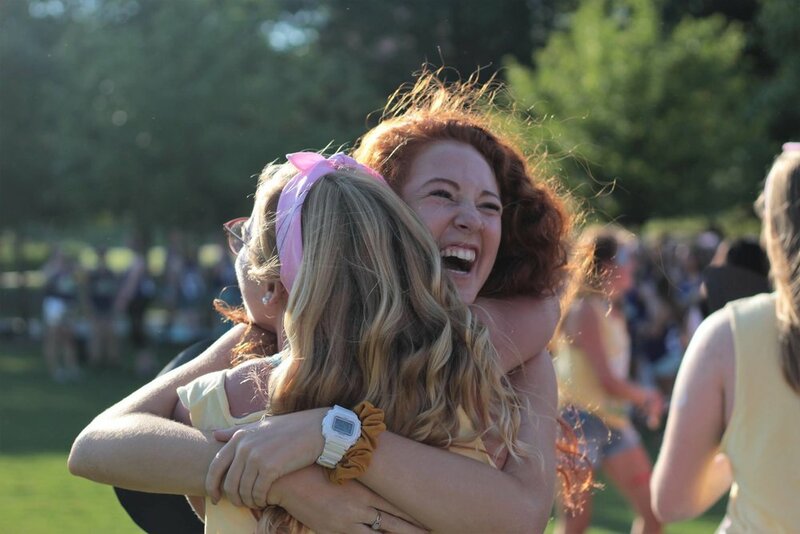 The first sisterhood event of each new year is Bid Day! 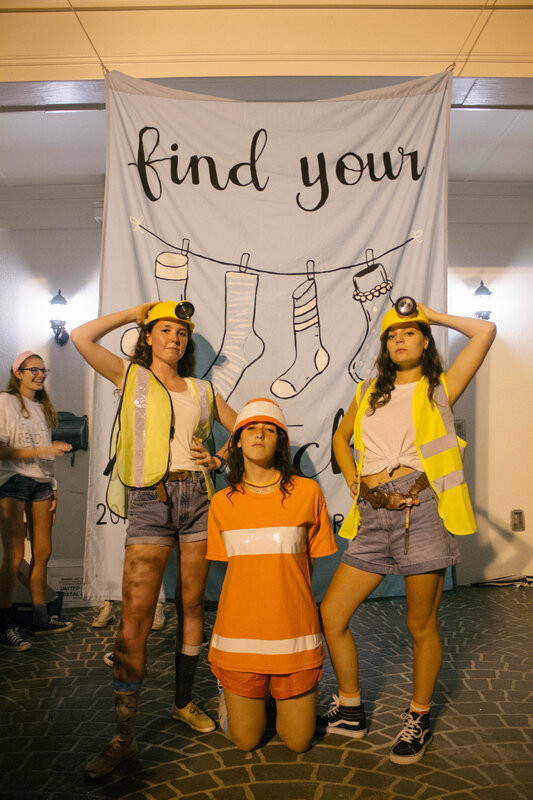 Bid Day takes place on the last evening of formal recruitment. Our new member class will open their bids and be introduced and welcomed into our sisterhood with welcome and open arms. They are then taken to a party at our house, where they will get a chance to meet even more of their new sisters! 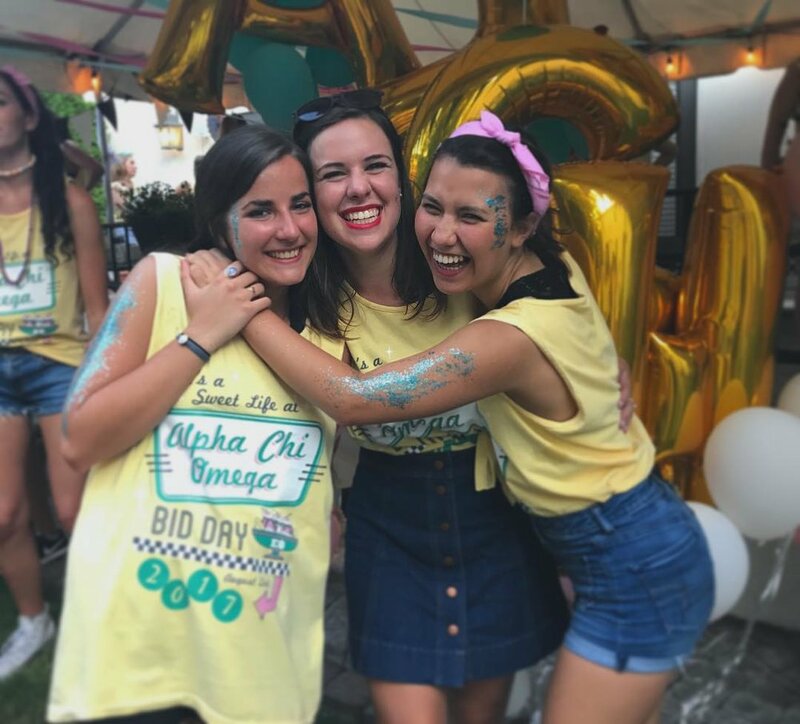 Bid Day kicks off our new members' fall full of exciting events. It also serves as a way for older sisters to reunite and see one another after their full and exciting summers. 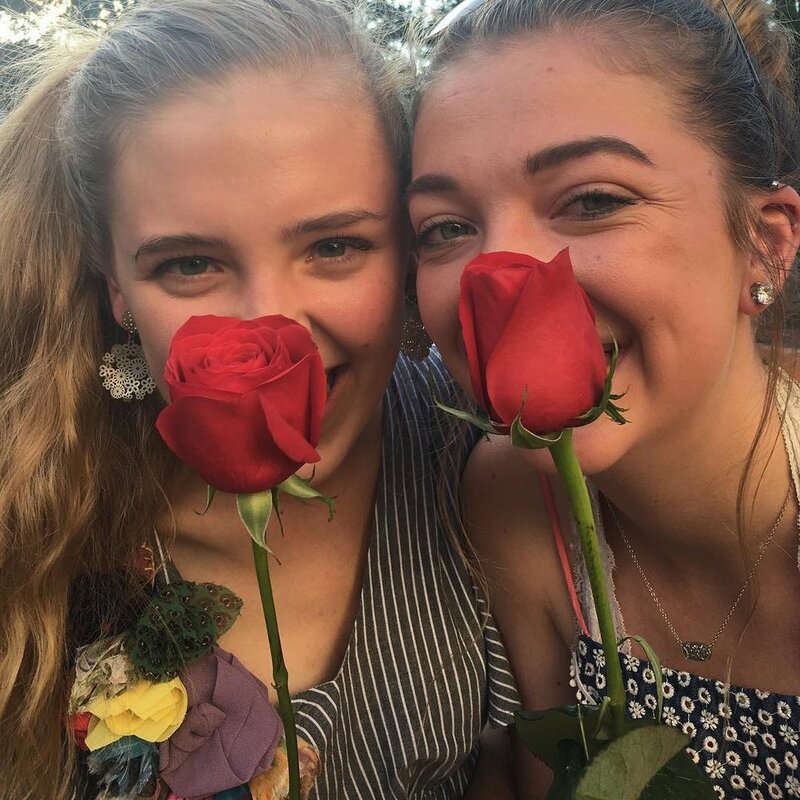 Run of the Roses is an annual fall tradition where new sorority women are taken around campus and introduced into Georgia Tech Greek society. 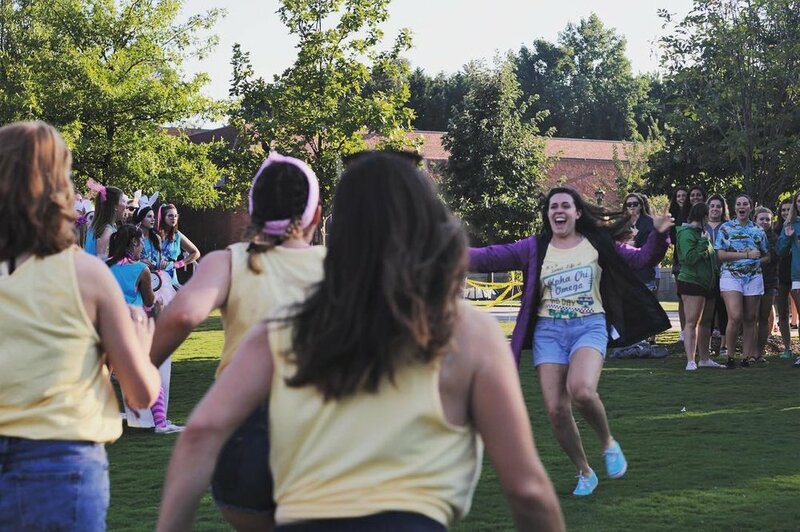 It is a fun way to socialize and get competitive, as well as learn your way around Greek row! 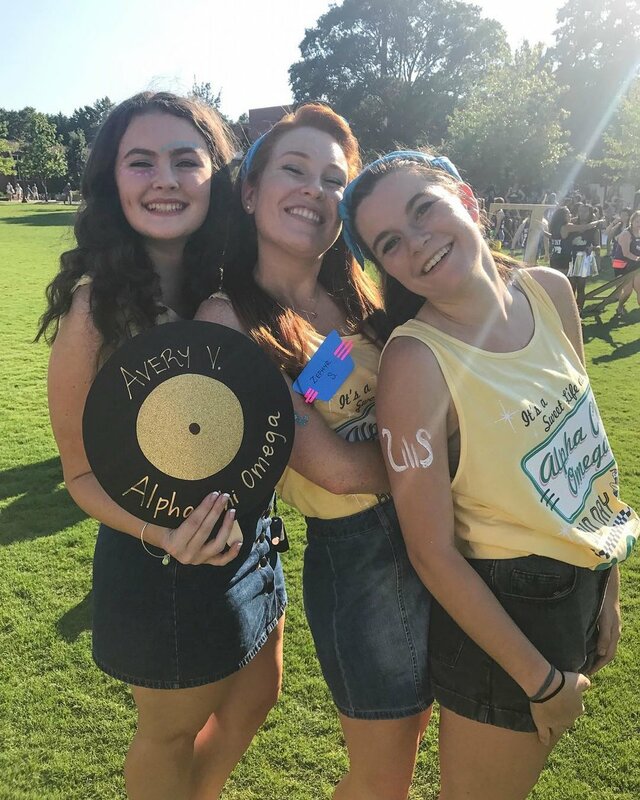 Throughout the first month of being a new member, our sisters go on a series of "Lyre Buddy" dates in order to meet older sisters and find their future big sister! After several of these dates, each girl chooses her big or little. Then, for a week, the little is surprised by gifts and notes and love. 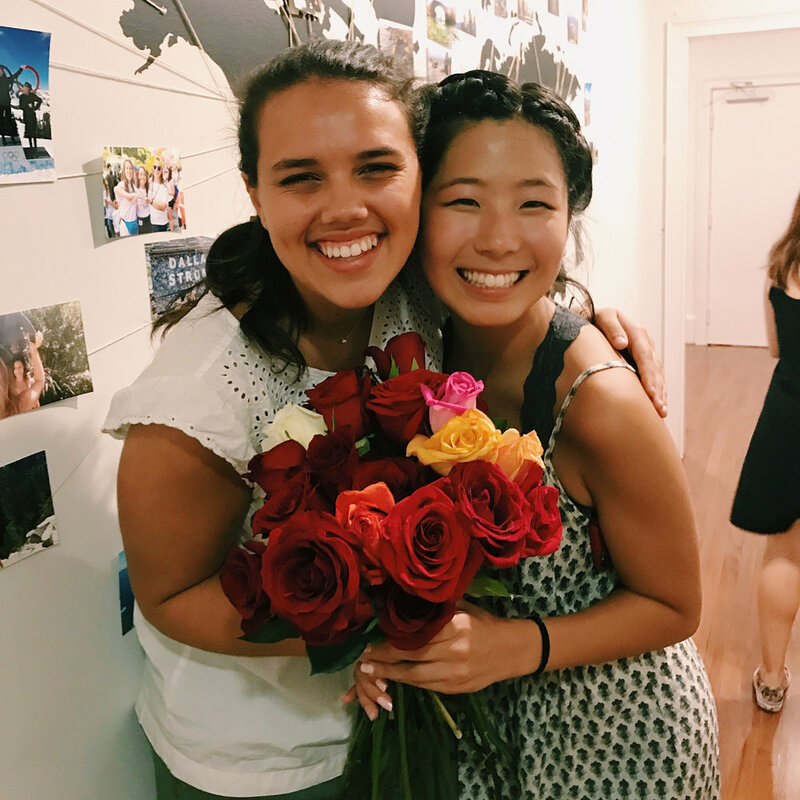 At the end, we hold our Big/Little Reveal, where families come and surprise the little, welcoming her into her new family! To see how it went down this year, check out the video below! 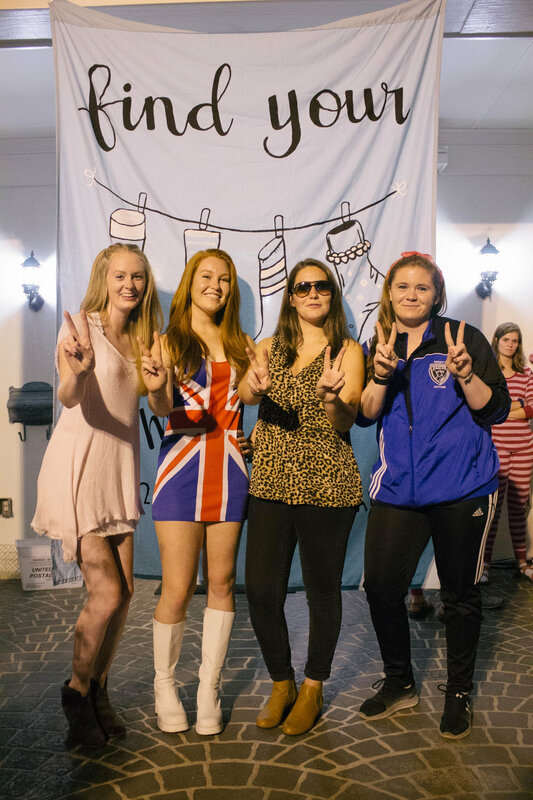 Aside from new member events, our sisters bond at all sorts of events across campus! One of the biggest hits, for example, is football game day. 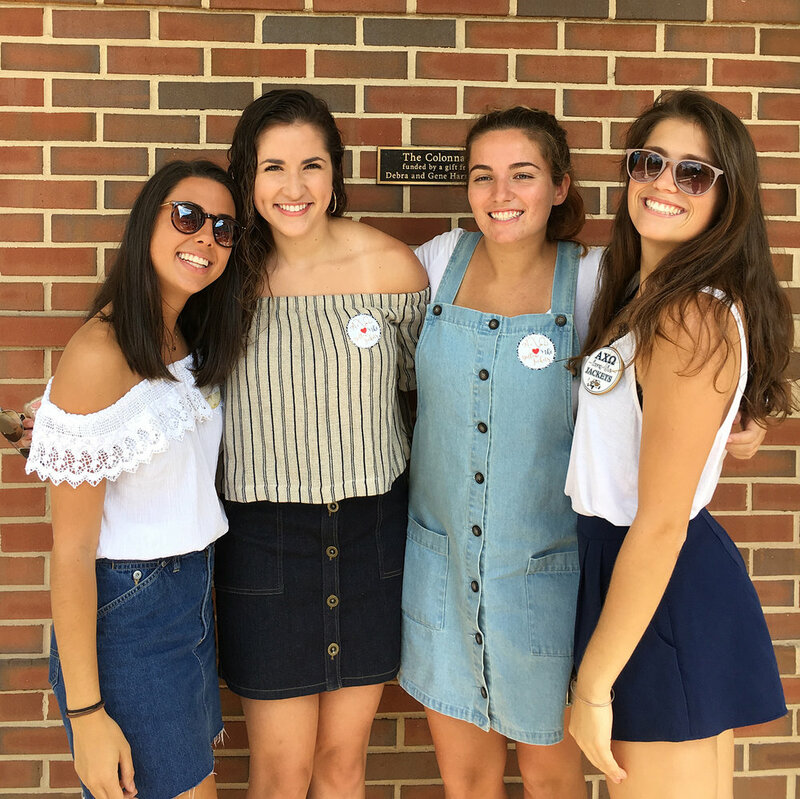 During Saturdays each fall, our sisters socialize and cheer on the Jackets together. 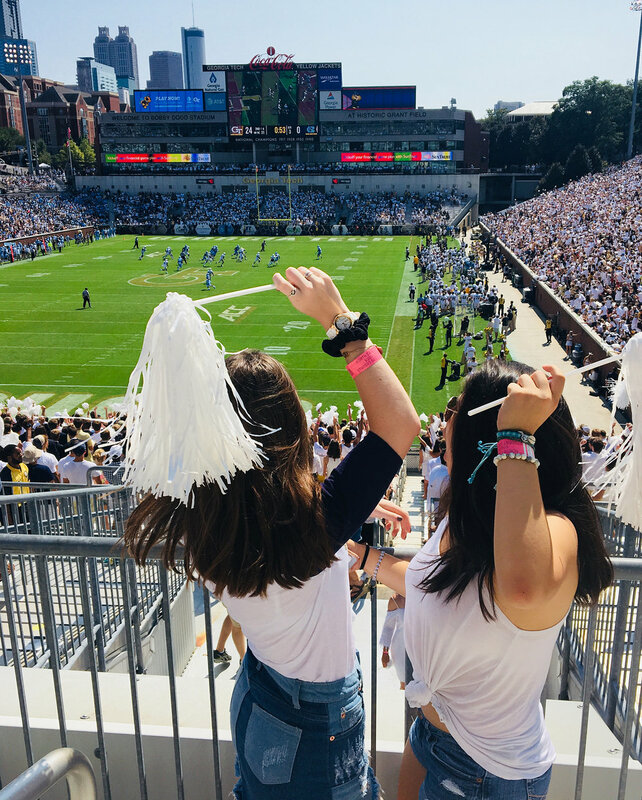 From attending game day parties and cookouts to shouting from the stands, we love every part of this Georgia Tech tradition and never miss out on an opportunity to say "to hell with Georgia!" 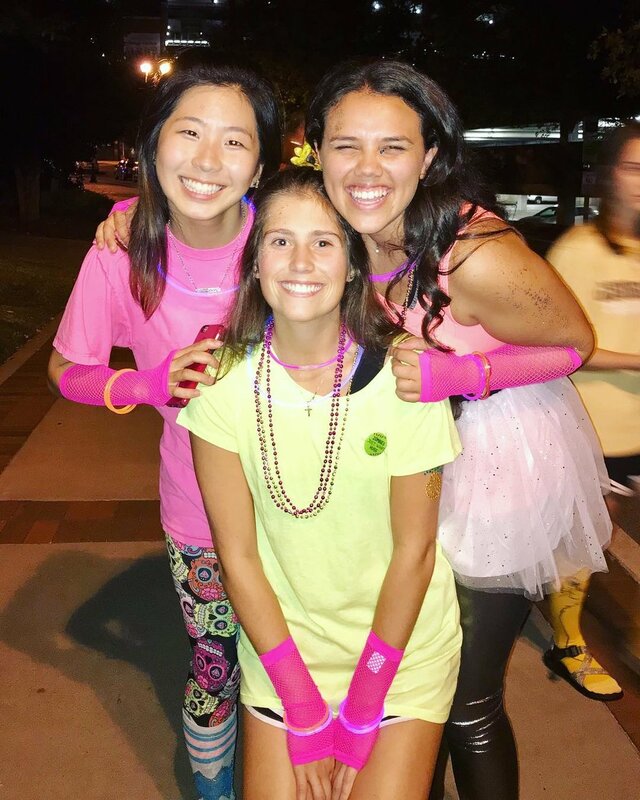 We do more than simply attend social events through Alpha Chi or on campus. 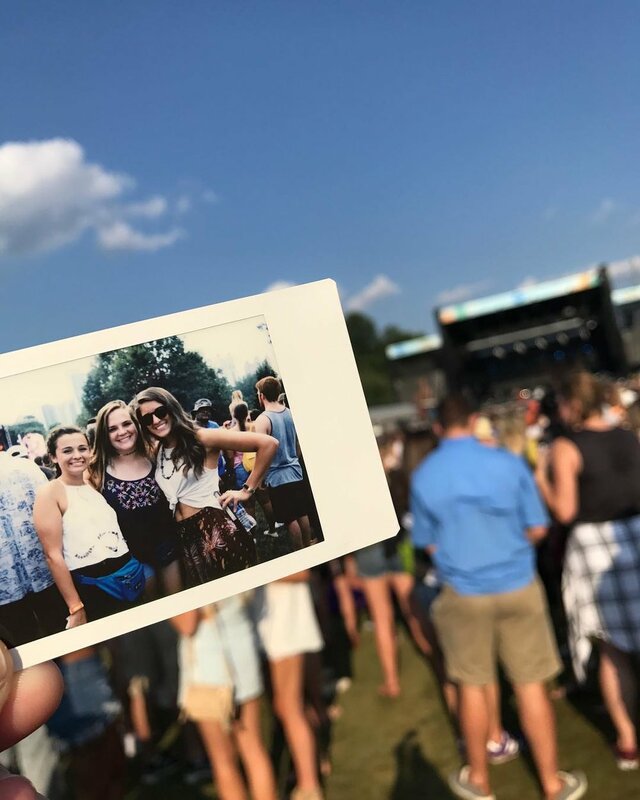 Our sisters spend countless hours together, whether it is to get coffee, study, attend concerts, eat, travel, you name it! We love every moment spent in one another's company, cherish every memory whether big or small.